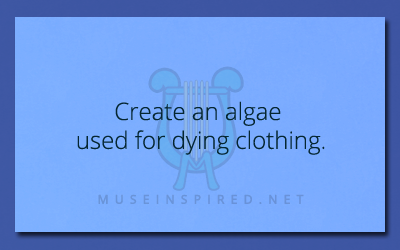 Fabricating Flora – Create an algae used for dying clothing. Fabricating Flora - Create a tree that attracts a beautiful rare moth. Fabricating Flora - Create a flower that blooms only once every few years.